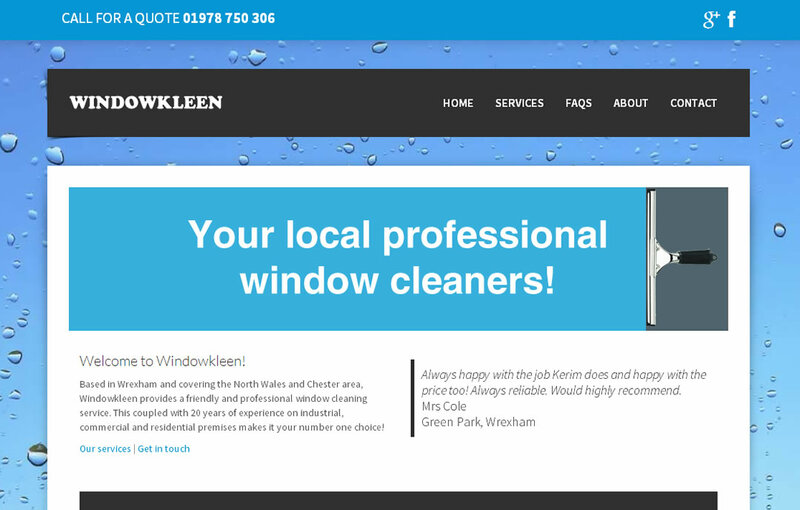 A responsive site that includes a homepage banner animation and live chat box, windowkleen.co.uk was built for a growing window cleaning company in Wrexham. The site was developed and live in 2 weeks. The website is everything I wanted and more. The live chat means I can chat with my website visitors on my phone while out and about. Highly recommended.